All our self-guided holidays include selected accommodation, luggage transfer, maps & guidebooks, personalised trip info and our emergency number. Click the images below for more information about itinerary options and prices. The 109 mile long Cleveland Way is one of England's National Trails. Offering a great variety of scenery from the heather moorland of its western half to the dramatic North Sea coastline to the east. With fabulous views, castles, ancient stone crosses and timeless fishing villages tucked into tiny coves, the Cleveland Way is a delight with something for everyone. We offer a variety of options to complete the walk from 6 to 10 days or opt for either the 'Moorland' or 'Coastal' section in 5 days. This is Wainwright's classic Coast-to-Coast walk from St Bees on the Irish Sea coast to Robin Hoods Bay on the North Sea coast. In the course of this 190 mile walk across England you pass through the varied scenery of the Lake District, Yorkshire Dales and the North York Moors. The sensational finale is a bracing cliff-top walk into the charming fishing village of Robin Hoods Bay. We offer several options for walking the entire C2C route from 12 to 17 days, or you can choose to complete it in two parts from 5 days to 9 days each. 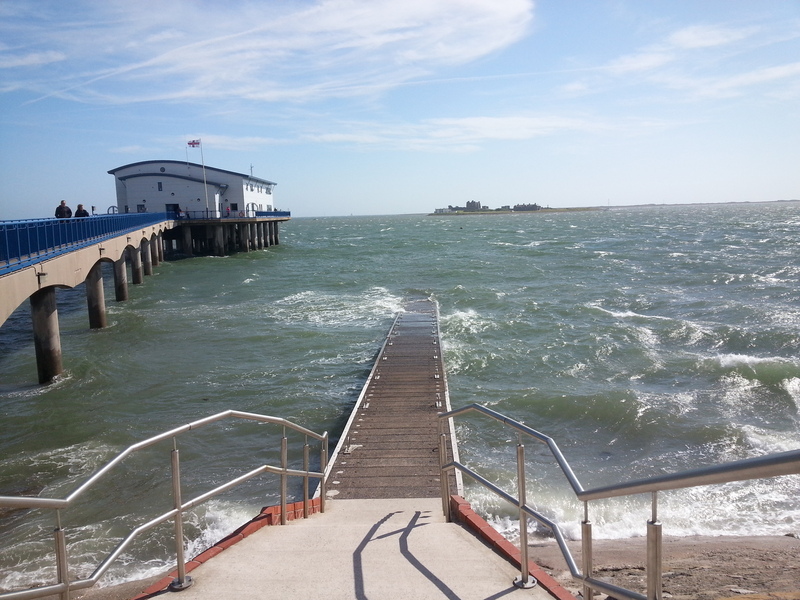 Possibly England's best kept secret. Not yet an 'official' LDP but this can only be a matter of time. Offering a variety of spectacular scenery, the 73 mile the Cumbria Way will take you from the market town of Ulverston overlooking Morecambe Bay, right through the heart of the Lake District, to Carlisle close to the Solway Firth. You can choose to split the walk into 5 - 8 stages, including options to climb the 'Old Man of Coniston' and Skiddaw, or choose one of our 'highlights' tours of 2 - 3 days. 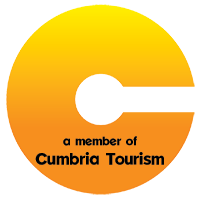 The Cumbria Coastal Way is a continuous long distance path, approximately 185 miles in length, following the Cumbria coast from Silverdale on Morecambe Bay at the southern boundary of Cumbria, to the estuary of the River Esk which marks the boundary between England and Scotland. 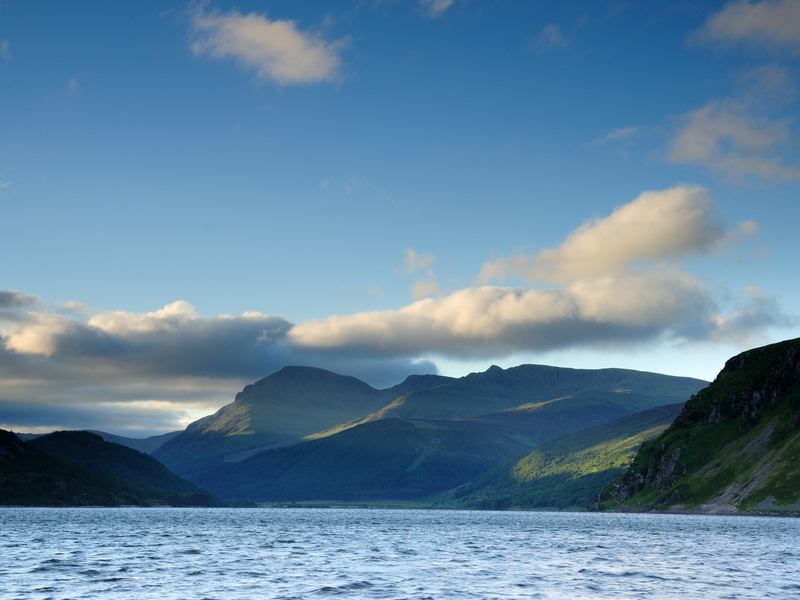 If you enjoy coastal walking, this tour won't disappoint. From 13 to 16 days or choose the North or South sections at 6 or 7 days. Note that there is very little waymarking on this route and you will be reliant on your navigation skills with map and guidebook. The Dales Way is a delightful 78 mile walk through the Yorkshire Dales from the moors of Ilkley through the limestone country of Wharfedale and Dentdale and into south Lakeland to finish at the charming town of Bowness on Windermere. The Dales Way mostly follows river valleys and is therefore less strenuous than trails such as the Pennine Way or Coast to Coast. It is therefore a good trail to choose if you want an introduction to Long Distance Path (LDP) walking. You can book this walk as 7,8 or 9 night options, including accommodation and luggage transfer, mapss, guidebook, personalised trip notes and our emergency number. 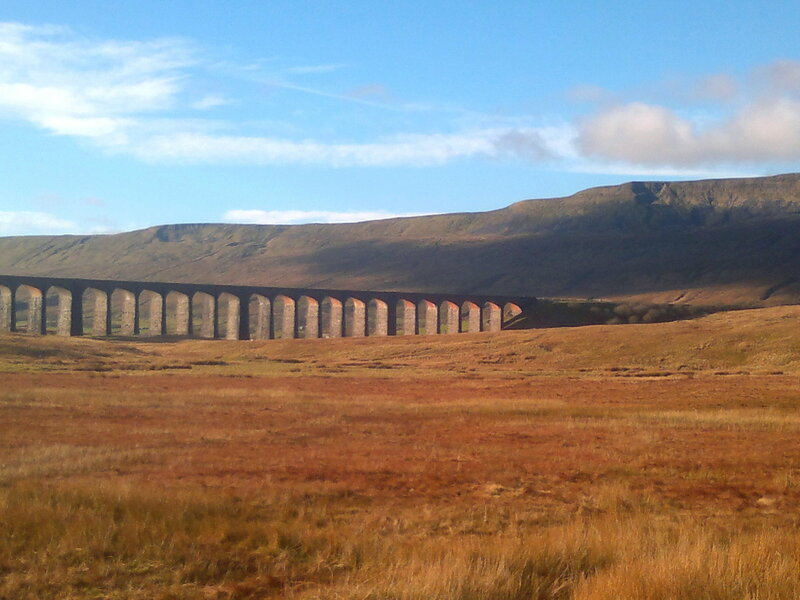 The Dales High Way is a challenging 90 mile high level route from Saltaire near Shipley to Appleby in Cumbria. 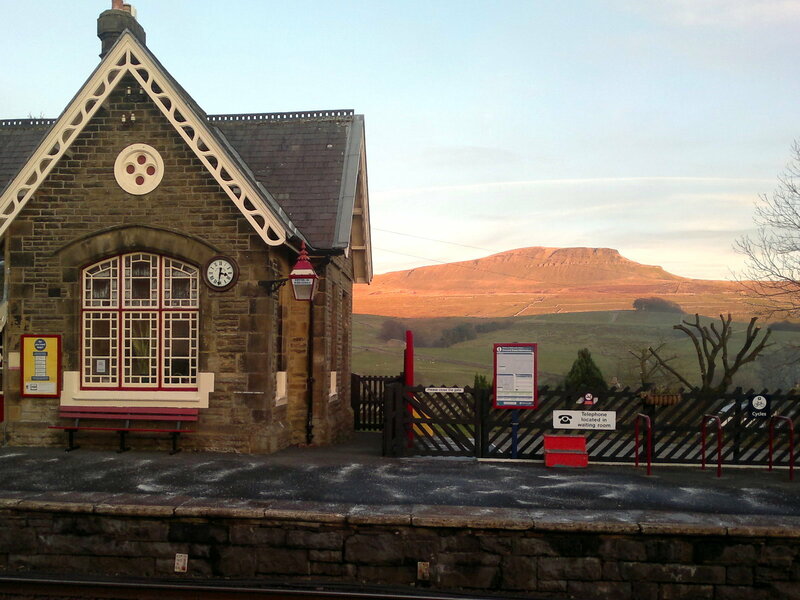 During its course you will cross wild moorland and the limestone dales of Malham, climb Ingleborough of Yorkshire 'Three Peaks' fame, traverse the heart of the remote Howgill Fells, and end your journey along the pretty banks of the River Eden. Longer, higher, wilder, and more challenging than the Dales Way, this is a Long Distance Path for aficionados of LDP walking. 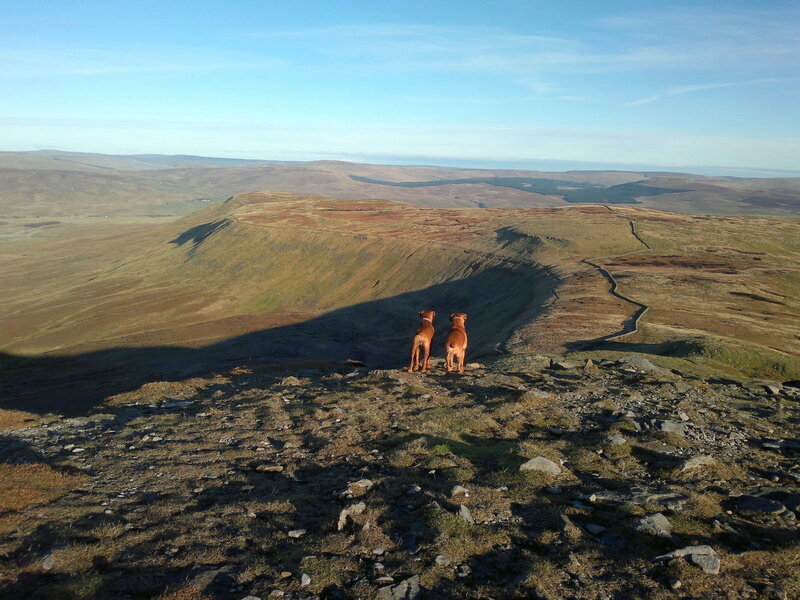 We have fixed price, easy-to-book versions of the Dales High Way including 7, 8, 9 and 10 night options. The Furness Way is a little known gem which plots a meandering course through the southern fells of the Lake District. Beginning in Arnside, the Way crosses the high ground above Cartmel and Coniston Lake to reach beautiful Eskdale, one of the quietest of Lakeland Valleys. 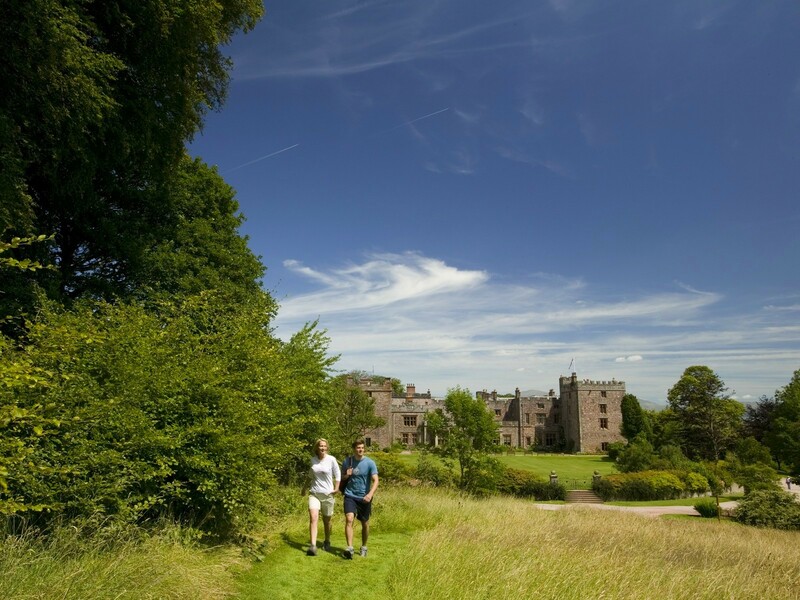 A final glorious walk over Muncaster Fell to the splendid Muncaster Castle and a descent to the coast, passing one of the best preserved Roman bath houses in the country, brings you to journey's end at the charming fishing village of Ravenglass. If you want a quiet long distance path with a wide variety of scenery and a fair bit of history thrown in .... then try the Furness Way. 6 days / 7 nights. 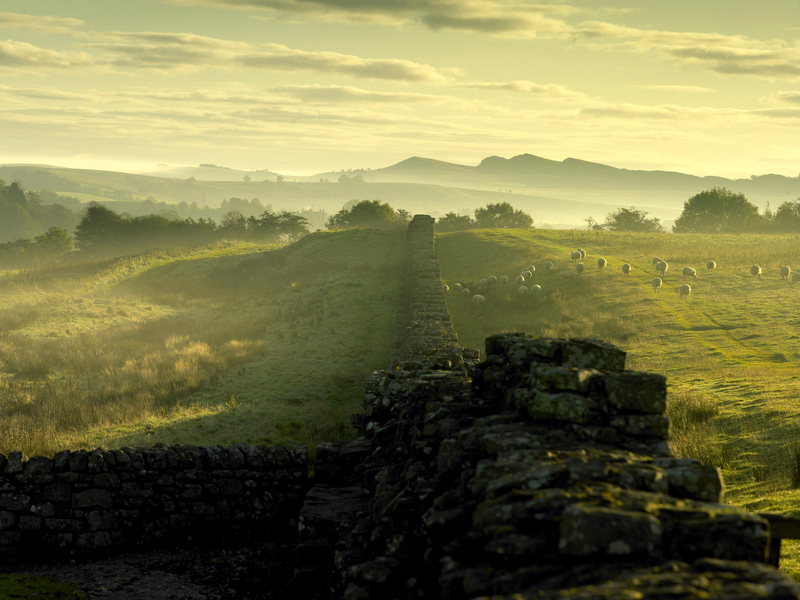 The 84 mile long Hadrian's Wall Path became the 15th official National Trail of England in 2003. It is normally walked from east to west from Wallsend to the Solway, but we are happy to arrange your self-guided walk in either direction. Along the way you cross the Pennines following the escarpment of the Great Whin Sil and pass many relics of the Roman Empire including forts, milecastles and the Wall itself. We have various options to walk the full length of the Wall to suit everyone, from 5 to 10 nights. We also have 'Best of the Wall' options walking the most spectacular and most historically interesting central section from 3 to 5 days. 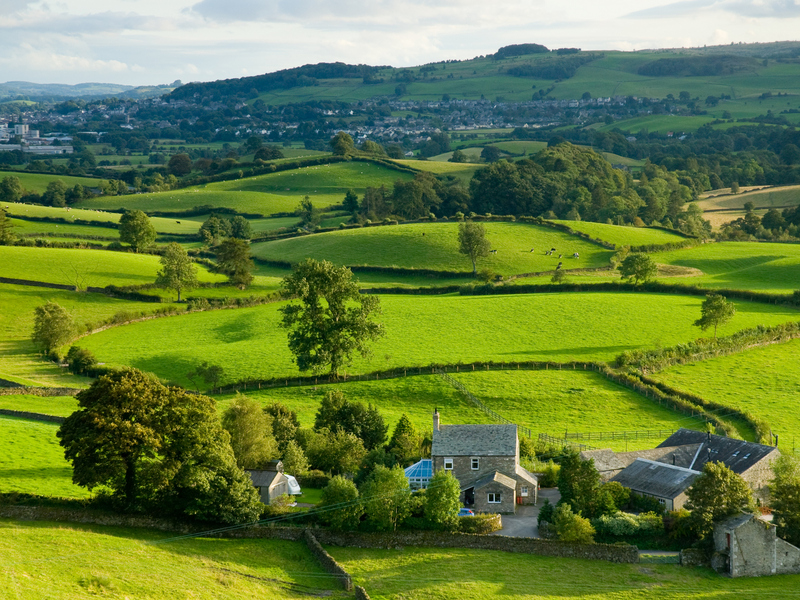 Walking the Pennine Way will take you through England's finest countryside. 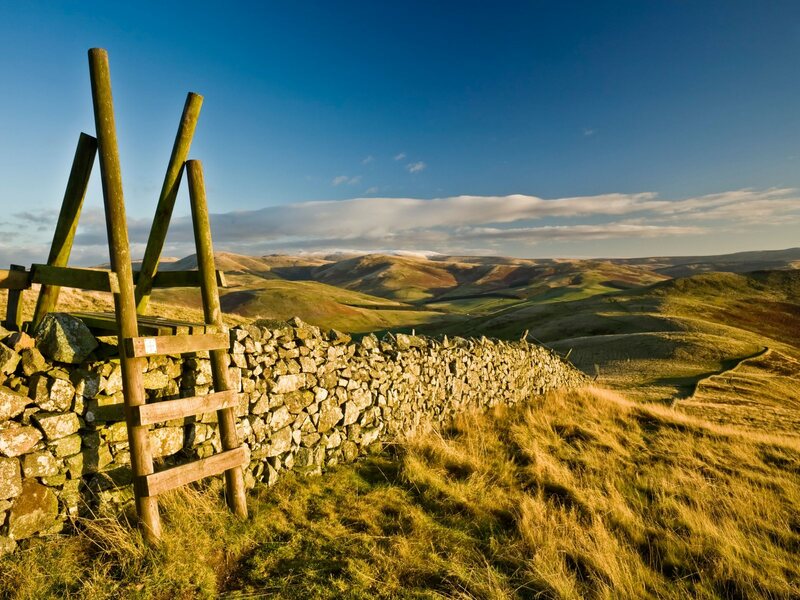 In terms of scenic grandeur, from the Dark Peak of its Debyshire beginnings, through the spectacular limestone country of the Yorkshire Dales, the Teesdale Valleys and high fells of Alston, along Hadrian's Wall and over the Cheviots, all the way into Scotland, the Pennine Way has it all. 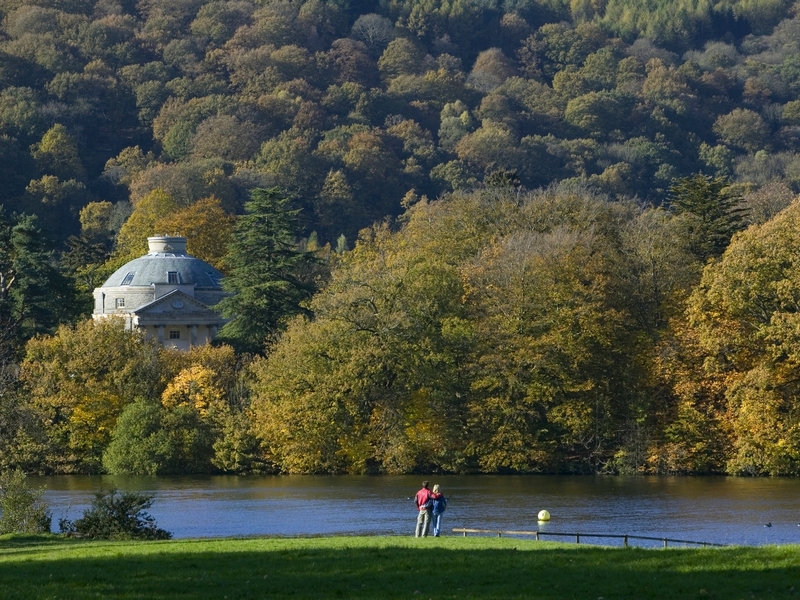 You can walk the entire 250 odd miles in under 2 weeks or you can take a little longer to explore the scenically special areas you pass through along the way, or you can opt to complete the walk in three separate sections taking a week over each. We offer easy to book trips for any of these options. The Ravenber Way is the creation of Ron Scholes, friend of Alfred Wainwright who was encouraged by Wainwright to devise his own Coast to Coast path. And what a route he has come up with! This 210 mile Long Distance Path will take you through the best of the Lake District, across the North Pennines and up through Northumberland from Ravenglass on the Irish Sea to Berwick upon Tweed on the North Sea coast. We recommend this walk over 14 stages (15 nights) but we also have a 15 day option to incorporate some suggested high level alternative routes, plus a one-week South and a one-week North itinerary. The 62 mile Richmond Way does not have the status of a National Trail but it is an excellent walk from the gates of Lancaster Castle to the gates of Richmond Castle through the heart of the Yorkshire dales. The route is the invention of John Coppack who devised it over several years using existing footpaths and rights of way. We offer the Richmond Way over 6 stages (7 nights) and as with all our tours, the price includes all accommodation, baggage transfer, information pack, maps and guidebook. St Bega's Way is a moderate to challenging walk of 37 miles, packed with varied scenery from the sands and red stone cliffs of St Bees on the Irish sea coast, beside glittering lakes, though mixed woodland, across mountain passes and following meandering rivers. It is also a pilgrimage, linking two ancient churches associated with St Bega, the daughter of a 9th century Irish chieftain. This superb and relatively short trail can be compoleted comfortably over three days. Our package for St Bega's Way includes 4 nights accommodation, baggage transfers, information pack, maps and guidebook. St Cuthbert’s Way is a relatively moderate, well-signed walk. Starting out among the bucolic landscapes round Melrose in Scotland, you cross the Eildon Hills before following first the River Tweed and then the Roman Road of Dere Street to Kirk Yetholm, the end point of the Pennine Way. 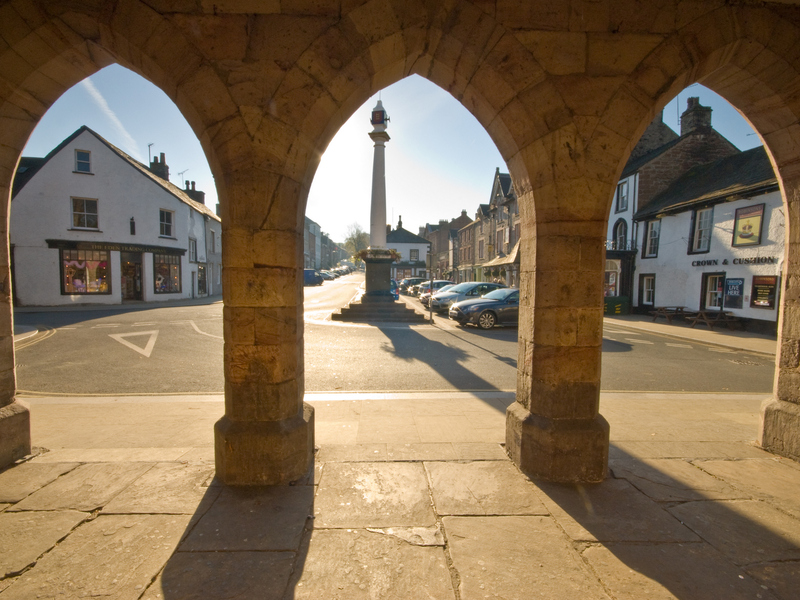 From here you cross the Cheviot Hills into England and descend to the market town of Wooler. A walk through pastoral England brings you to the coast and a final dramatic crossing to Lindisfarne (Holy Island) along a causeway which only appears at low tide. It can be linked to St Oswald's Way. St Oswald's Way is a moderate trail, 97 miles long and teeming with history. 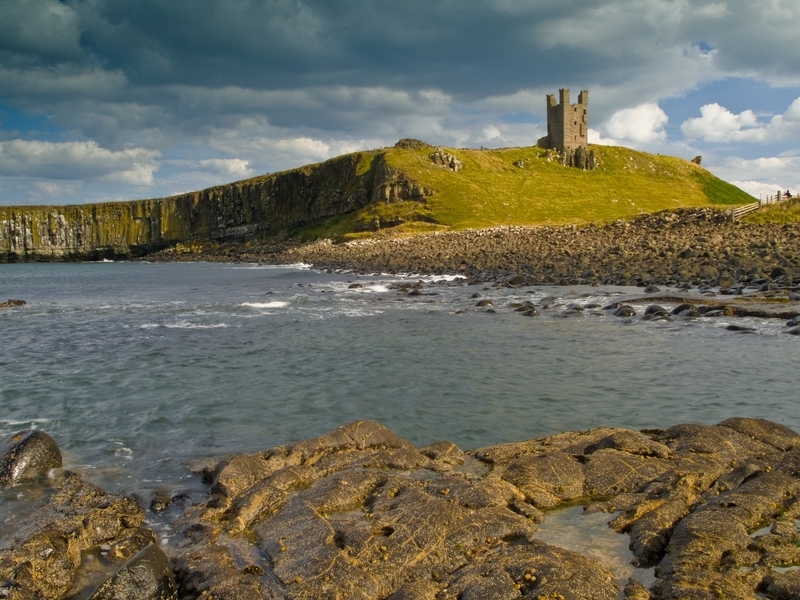 Beginning at the ancient priory on Holy Island the Way follows the Northumberland coast along beaches and coast paths, passing the impressive castles of Bamburgh and Dunstanburgh and the fishing villages of Seahouses and Craster. 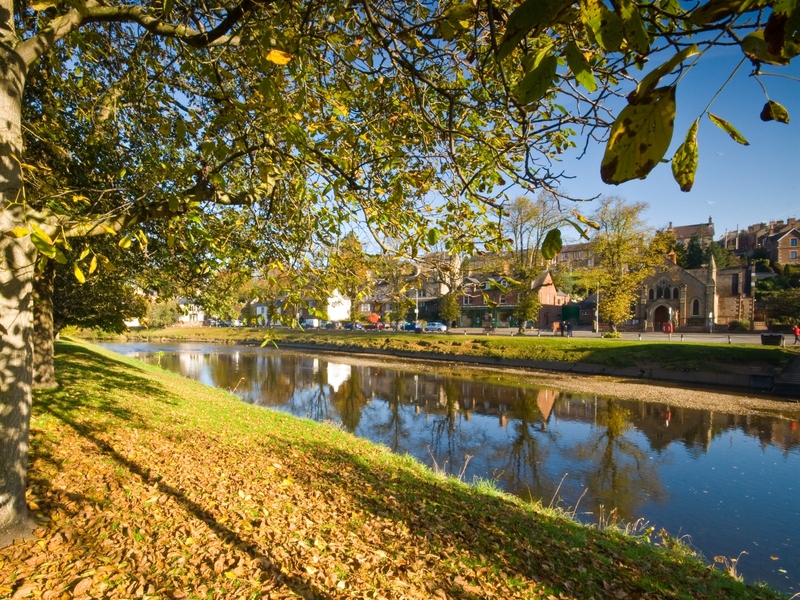 At Warkworth the coast is left behind and a mix of field paths, lanes, a riverside walk and woodland trails lead to the market town of Rothbury on the River Coquet. Entering the Northumberland National Park, the trail reaches its highest point on the moors of the Simonside Hills, bfore descending via Harwood Forest and through a pastoral landscape and gently rolling countryside to Hadrian's Wall, which it then follows to its conclusion at Heavenfield. 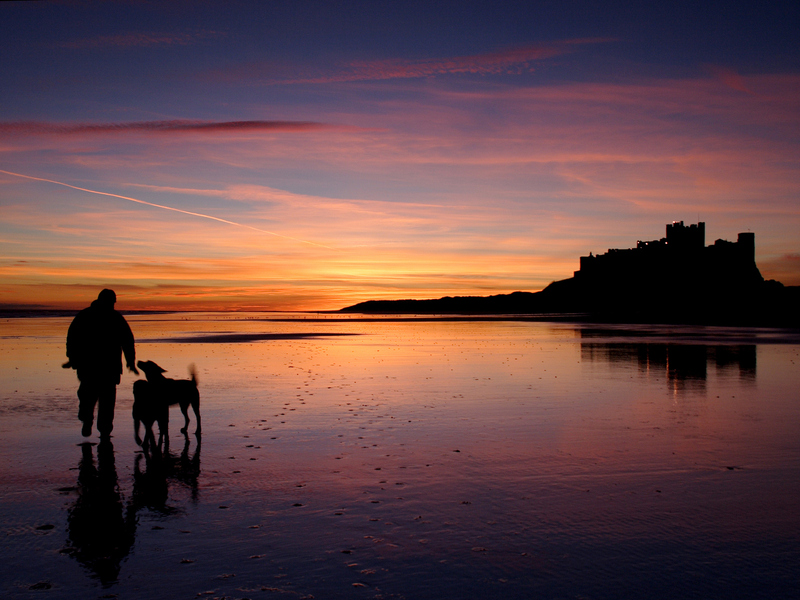 We offer the St Oswald's Way as 6 - 9 day options plus a special 'Explorer' option over 12 days (13 nights). From Appleby in the Pennines to Arnside on Morecambe Bay, the 95 mile Westmorland Way plots a meandering course through what was the county of Westmorland, which formed the north-eastern sector of present day Cumbria. 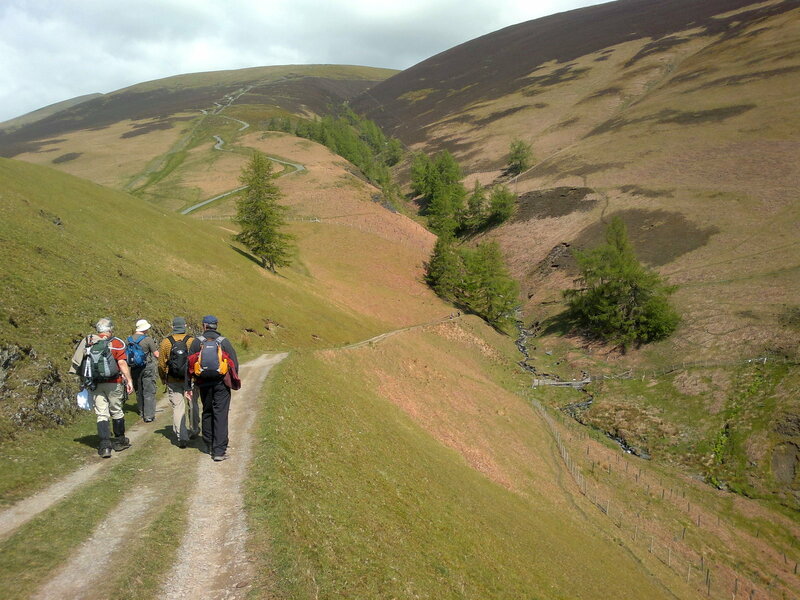 The trail is predominantly a low level route using river valleys and low passes to navigate its course through the mountains of the Lake District. Along the way you will travel through a tremendous variety of landscape from pastoral fields and wooded river dells to open moor and rugged mountain passes. 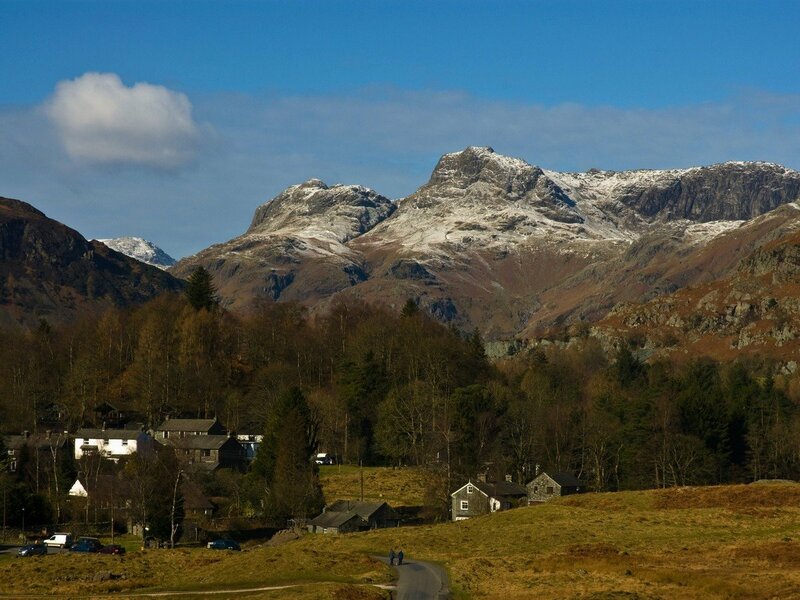 We offer the Westmorland Way as 8, 9 or 10 night options. Wandering Aengus Treks are based in the Northern 'Lakes' and are the specialists for self-guided Lake District walking holidays. 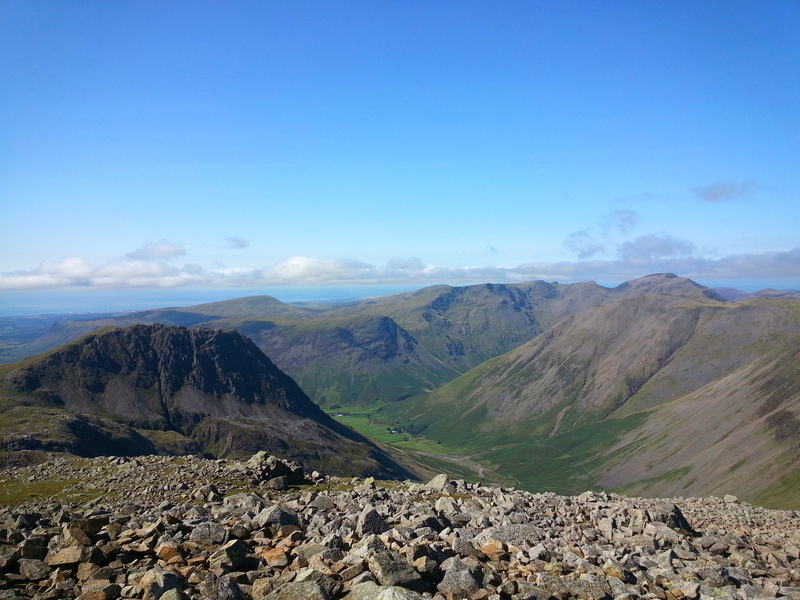 As well as LDPs such as Cumbria Way, Westmorland Way and St Bega's Way which pass through the Lake District and can be found on this page, we have 12 Lake District walking holidays which are designed to showcase the best scenery that England's premier National Park has to offer. All our Lake District holidays include accommodation and baggage transfer, maps, route cards and our emergency contact number.